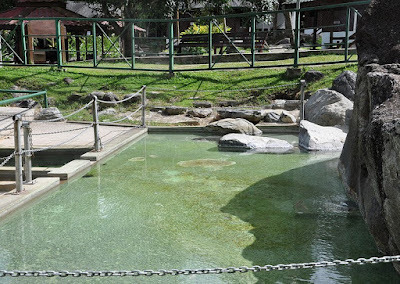 It may not be much to look at, but the Air Hangat hot spring is known as one of the only four saline hot springs in the world. Its most popular attraction is a massive 18 meters hand-carved river stone mural depicting the legend of Air Hangat. 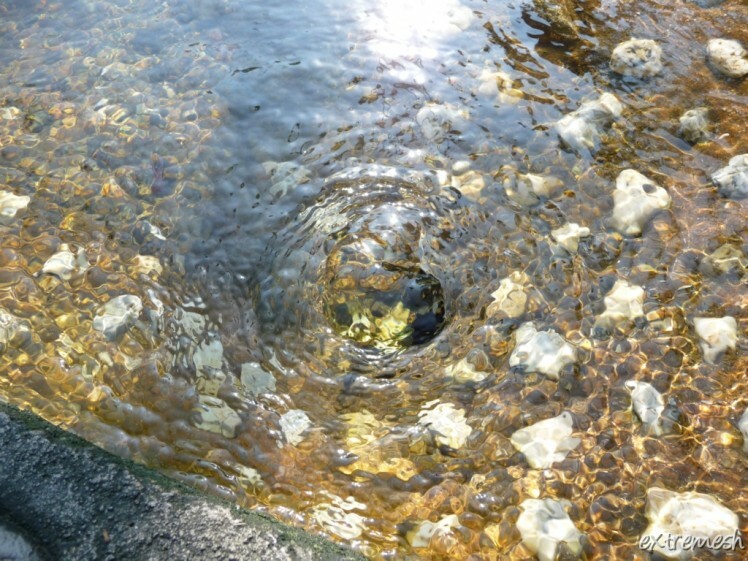 Soak your feet in the warm spring waters, but do refrain from jumping in. Later on, pay a visit to the Air Hangat Village and enjoy lively Malaysian folk and classical dances, and a foot massage as well. For more information, call Air Hangat Village at +604 959 1357 or visit the website. Located in Ipoh, the Banjaran Hotsprings is located within the exclusive Banjaran Hotsprings Retreat. Pay a visit to the thermal steam cave and enjoy the cave’s natural sauna created by the geothermal hot spring as a restorative and detoxifying therapy. After that, take a dip in the freezing ice bath which will improve blood circulation, reduce blood pressure and strengthen your parasympathetic and sympathetic nervous systems. For more information, call The Banjaran Hotsprings Retreat at +605 210 7777 or visit its official website. 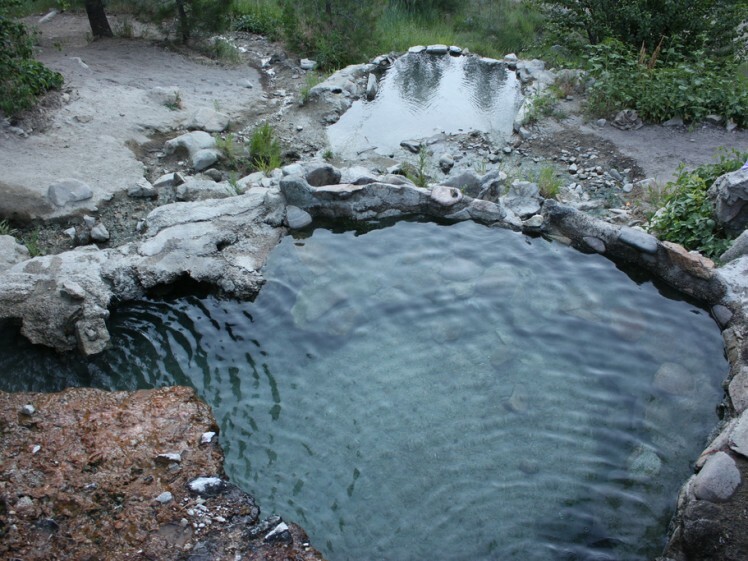 The Poring hot springs has, according to locals; healing properties that can help relieve muscle sores and aches, thanks to the optimum level of sulfuric minerals in them. 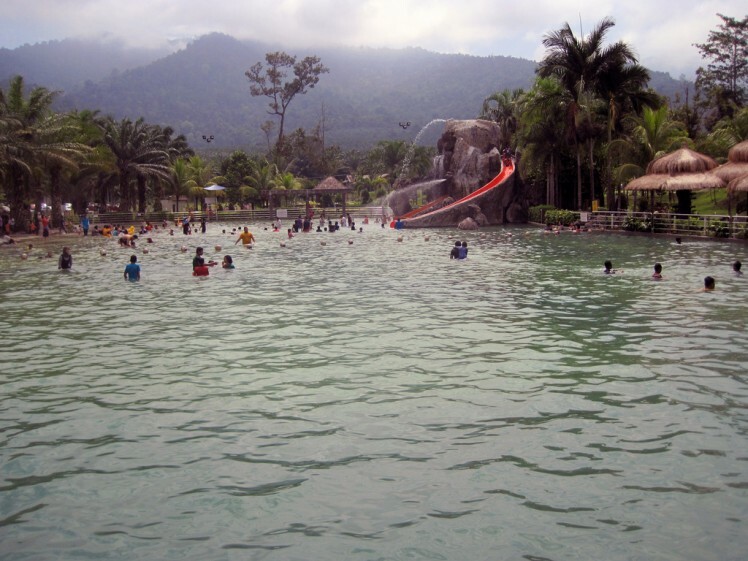 The hot springs is located amongst the foothills of Mount Kinabalu, and within driving distance northeast of the infamous Kinabalu Park. For more information, call Poring Hot Spring & Nature Reserve at +608 887 8801 or learn more about the place and other attractions nearby by visiting the Sabah Tourism website. 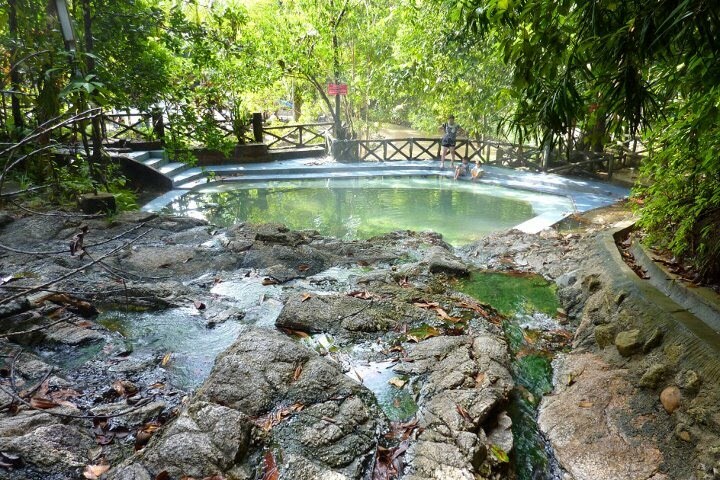 For a splashing getaway, head to Sungai Klah Hot Spring Park. This park offers a variety of packages for families, friends, honeymooners and more. There are also team building packages. The spring’s 100 degree Celsius water is also perfect for making hard-boiled eggs. Now that’s something worth checking out. For more information, call Sungai Klah Hot Spring Park at +605 438 8803/438 8805 or make a booking for one of their packages here. 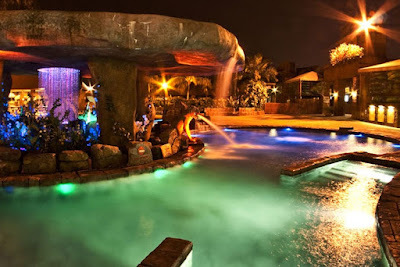 The Lost World of Tambun Hot Springs and Spa promises fun and relaxation for those who visit it. This is the first and only water theme park in Malaysia with natural hot springs. Immerse yourself in the 100% natural mineral hot springs and allow the concentrated minerals to refresh you after a long day of fun under the sun, at the theme park. For more information visit The Lost World of Tambun official website here. If the best things in life are free, then the Hulu Tamu Hot Springs certainly deserves to be on this list. Entrance to this hot springs is free and it is also open to the public day and night. Because it’s free, be prepared to be greeted by a crowd of locals, especially in the evening, as they collect buckets of water to bring home, as they believe that the water has healing properties. For more information on other attractions in the area, visit the website. 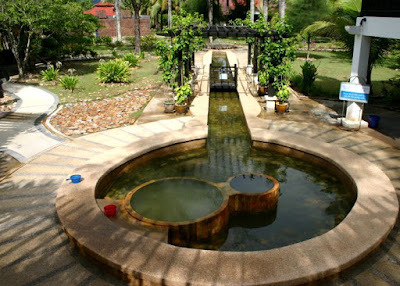 La Hot Spring or Kolam Air Panas La is located in Hulu Terengganu. Visitors to this place enjoy watching the hot water shooting out from a hill slope before flowing directly into a pool. 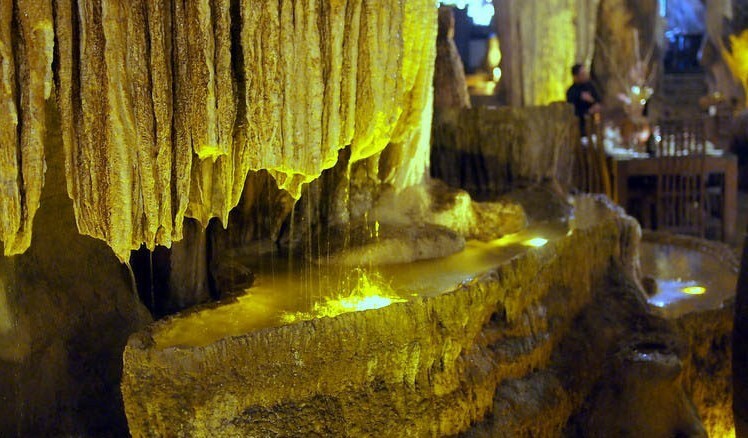 The hot water is said to contain sulfur with the heat of 49 degrees celcious. This is said to be good for curing skin diseases. There are also man-made hot springs, spa-like pools and more for the public to enjoy. 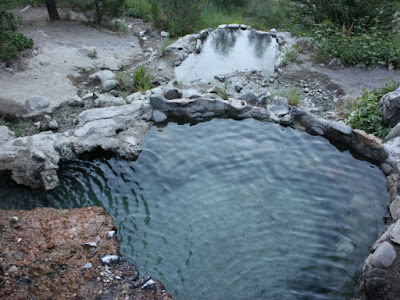 To learn more about La Hot Springs, visit this website.